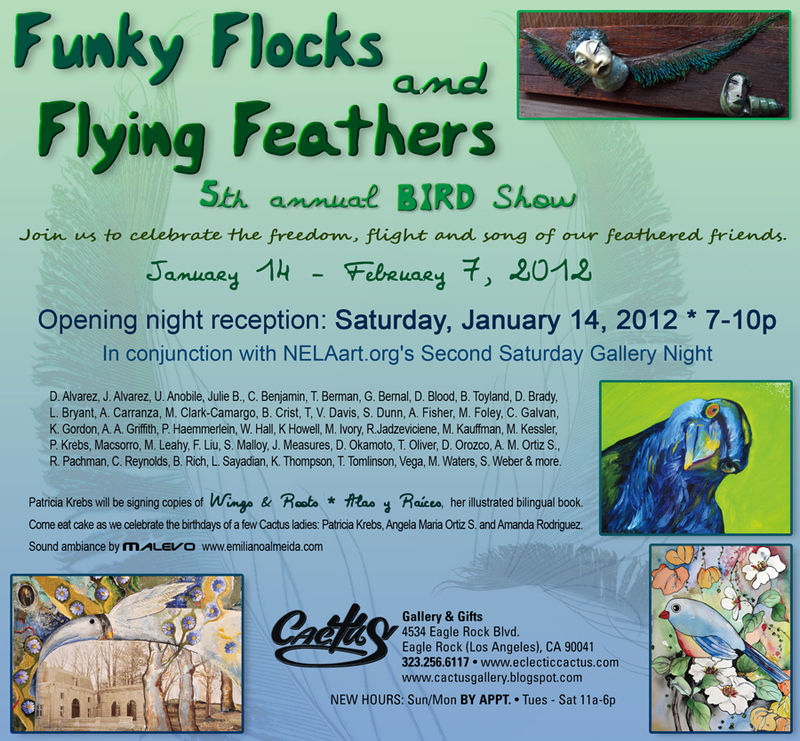 Please join us for our next exhibit, "Funky Flocks and Flying Feathers." 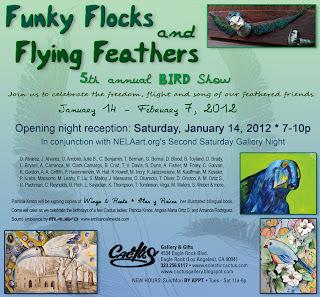 Another big group show featuring original works by more than 50 artists. 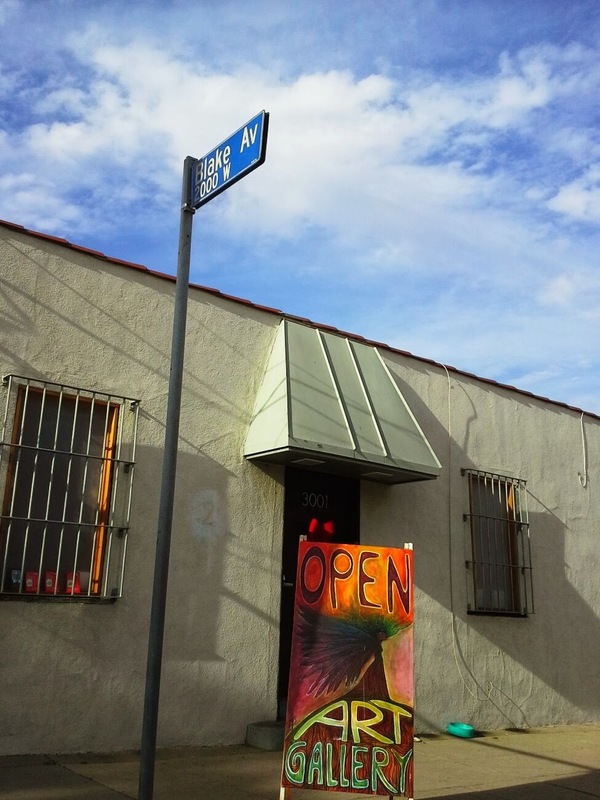 Oil and acrylic paintings on canvas and wood, mixed media works, sculpture, ceramics and more.